AIP Adjustable Thumb Rest (Black). Aluminum Construction, more durable and light-weight. Multi-angle and length adjusted. 2 Hole for angle adjustment, 3 hole for length adjustment. Easy to adjust and install, simply secured the Socket Head Cap Screws by allen wrench. Reducing chances of fouling when firing. Left Hand Design. 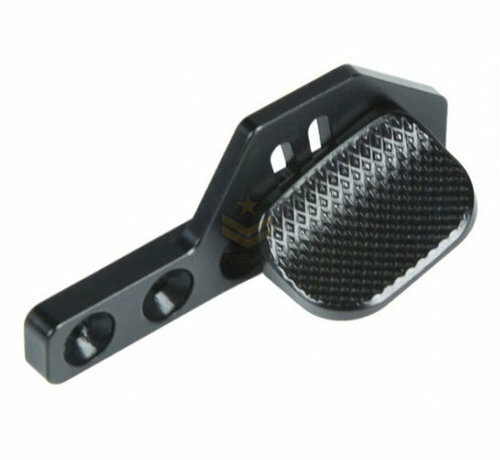 Special Rhombic textured face offer firm hold of Airsoft. When mounted on the gun, it provides a stable point to place your thumb of your secondary manipulation hand to provide absolute stability and control, ensuring that your shots are accurate and speed. 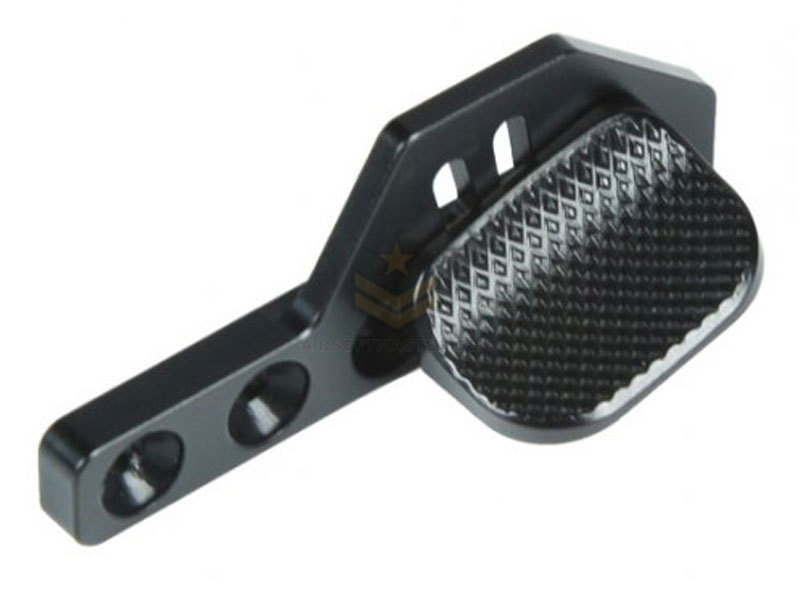 Make your airsoft more stylish with pieces of precision parts.